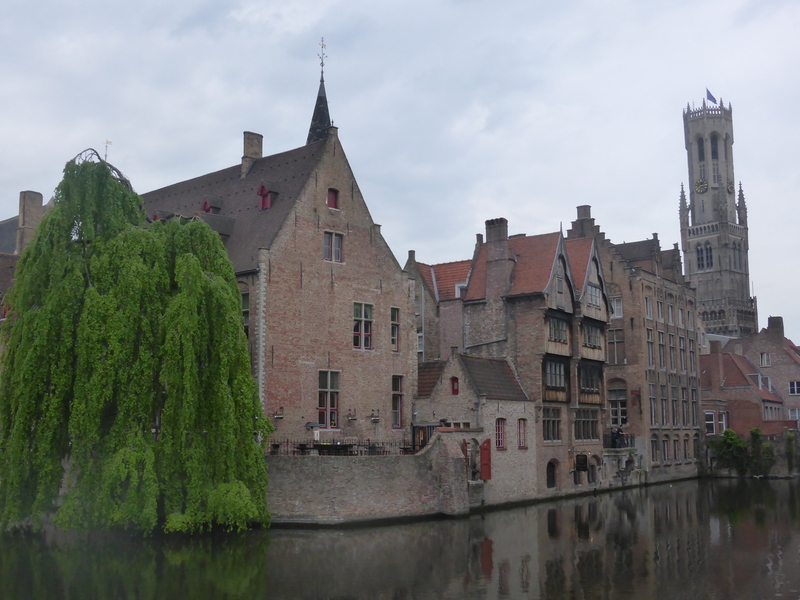 I’ve come to the conclusion that I like Bruges best when it’s raining. Firstly, because the canals and the buildings look beautiful through a watery filter and, secondly, because there aren’t as many damn people about. In the absence of rain, I settled for wandering around in the morning and again in the evening after all the day-trippers had left. My years living in York have left me with an abiding dislike of large groups of tourists when I’m trying to get around. 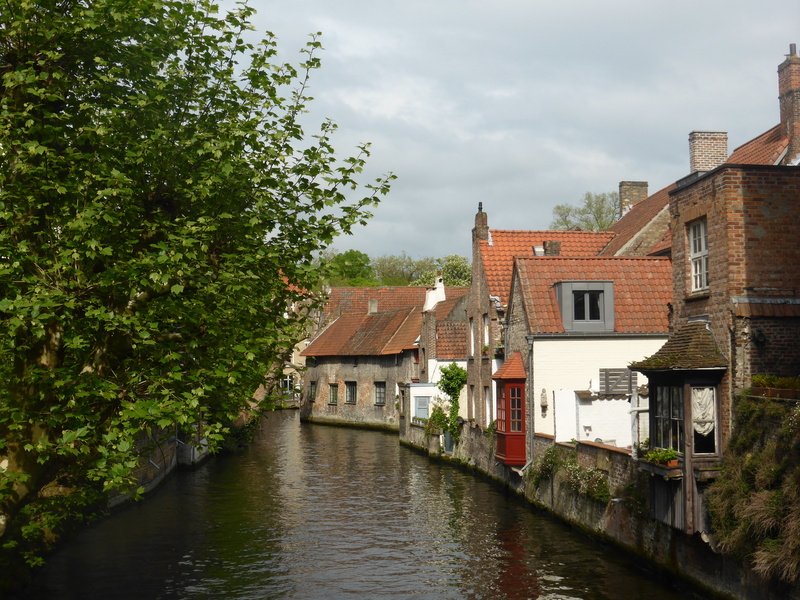 You can understand why everyone, myself included, wants to visit Bruges. It’s a picture-postcard city that could have just stepped out of a fairytale. The center is so compact that it is easy to wander round and there are so many places where you can stop for a beer or some food, or just to sit and drink in the sights of this beautiful city. 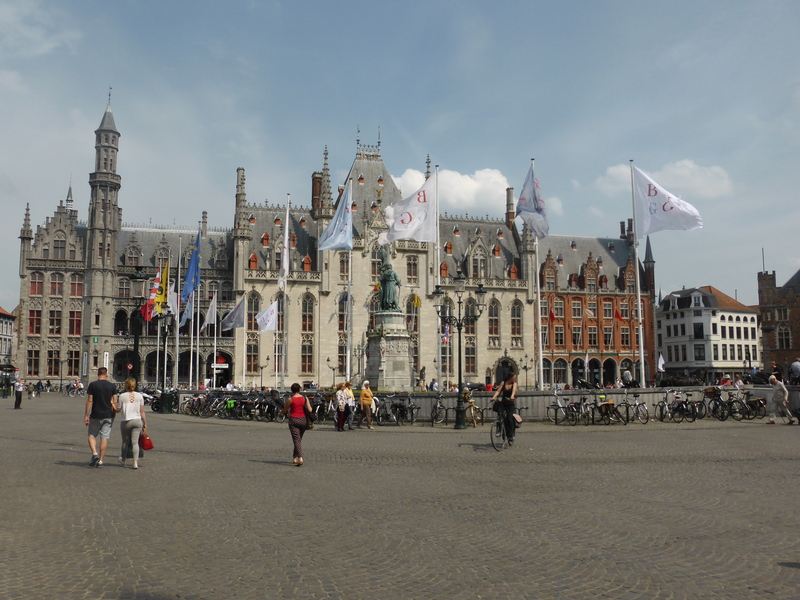 The focal point is the Grosse Markt. 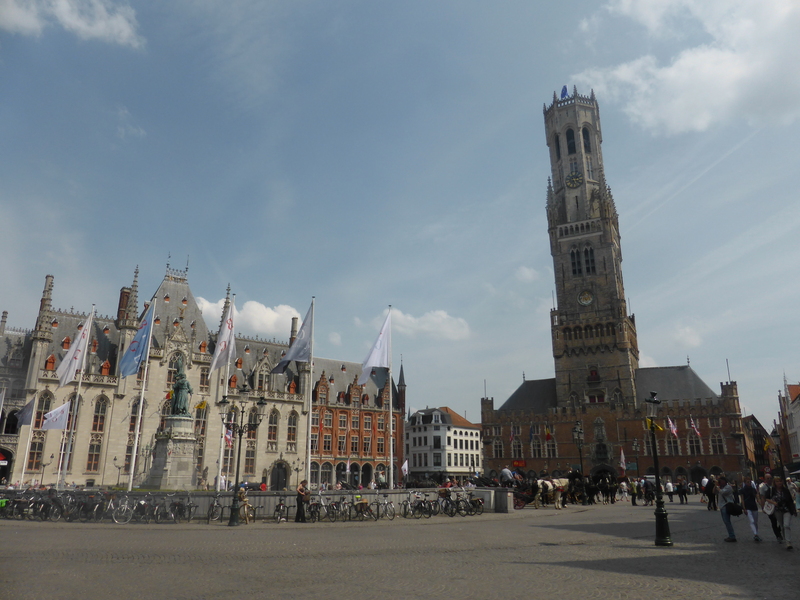 Surrounded by cafés and museums, and dominated by the Belfry, a 272 ft structure giving views across the city. This is the place you will keep ending up before taking a different route to discover even more chocolate shops. A canal tour is obligatory (I’m sure there must be a city ordinance to that effect or, if not, there should be). Numerous companies ferry the hordes of visitors along the canals (30 minutes for €8) and you do get a different view of the architecture from the water. Another option is to take a ride in a horse-drawn carriage. In most places this is something that would make me anxious but in Bruges the horses were in such great condition that they are clearly well cared for. Still not my thing though. 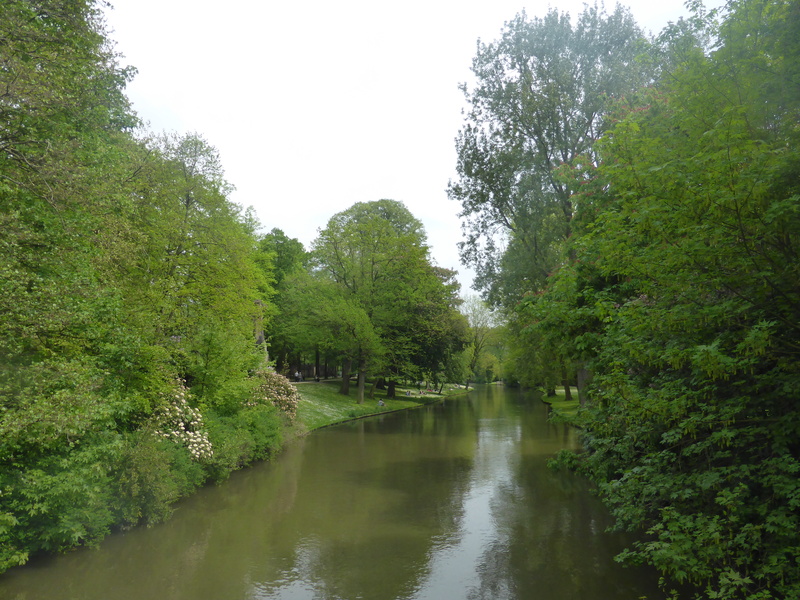 My biggest piece of advice to anyone visiting Bruges though is to just get lost. Literally. There are so many streets and alleys to wander down. It really is a great way to discover quirky little boutiques, quiet cafés and, of course, lots of stunning architecture. Leaving Bruges was tough, I’d really started to make myself at home. But I don’t think there’s any doubt that I will be heading back to Belgium soon; I’m definitely not going to leave it seven years this time.